At AGM Precision Machining, we believe that unparalleled quality IS our business. Quality is the reason we maintain an ISO9001/AS9100 certified quality management system. Quality is the reason we bring the same level of scrutiny to first article inspections as we do our annual full-process internal audits. Quality is the reason we invested in a Coordinate Measuring Machine. Quality is the reason our clients keep coming back. AGM has success fully maintained an ISO9001/AS9100 certified quality management system (QMS) since 2008.
to ensure the highest standard is consistently applied during quality inspections. AGM’s Quality Assurance department maintains two Coord3 Hera 777 CMMs. to ensure part dimensions are within our customer’s stated tolerances. At AGM, we have the means to take your project from start to finish, ensuring quality at every stage of the process. Whatever your need, AGM has you covered.  *AGM Precision Machining is currently unable to provide in-house coating and finishing, such as anodizing, and therefore must sub-contract such work. However, we guarantee all work contracted through us. AGM performs First Article Inspections as part of our quality assurance program. First production-run samples are rigorously inspected through our ISO9001/AS9100 QMS and checked against approved design drawings and specifications. This guarantees that full-production units will precisely meet your design specifications. Confirming product function, safety, and construction. Note: In an endless effort to maintain and improve our high quality standards, AGM undergoes four or more internal audits per year. These internal audits are in addition to our required annual register audit, as well as any supplementary audits requested by our clients.